The Dustless HEPA Vac is the perfect tool for professional remediation jobs. The HEPA Vac is a fully certified HEPA vacuum with a certified and tested HEPA filter, rated at 99.97% efficiency at .3 microns of filtration. 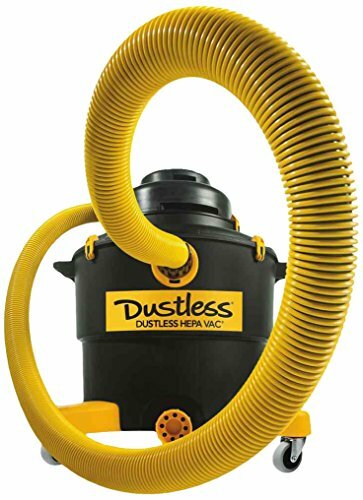 This vacuum meets EPA RRP and OSHA regulations of silica, asbestos, lead paint, and hexavalent chromium removal and dust containment. 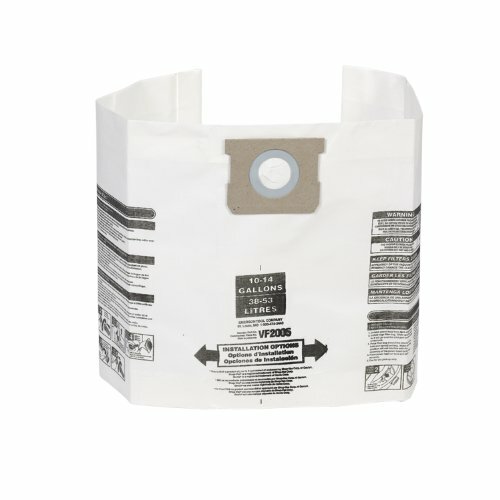 A dual filtration system, including the HEPA filter and filter cover, can be optimized by using Dustless Wunderbag pre-filters. This can extend the life of the HEPA filter 10 times longer. The vacuum can go from dry to wet and back without having to switch filters. An interior baffle wall will protect the filters from getting wet and prevent overfilling. The filter cover is machine washable. This vacuum is capable of capturing tiny dust particles and will never blow dust into the air. Excellent choice for professional contractors and remediators who need to meet EPA or OSHA guidelines. HEPA Beater Bar Floor Tool sold seperately. 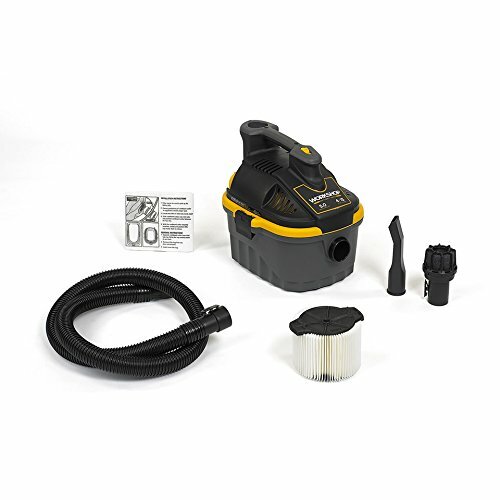 Includes (1) D1606 HEPA Wet/Dry Vacuum, (1) HEPA filter, (1) HEPA filter cover, (2) Wunderbag pre-filter bags, (1) 12 foot hose, (1) crevice tool, (1) floor tool, and (2) extension wands. For questions or replacement parts, please contact us at http://www.dustlesstools.com/blog/contact-us/. CERTIFIED HEPA: Individually tested, certified and serialized HEPA filter. EPA RRP OSHA COMPLIANT: Complies with EPA RRP and OSHA laws and regulations concerning hazardous material pickup. SAFE FOR HAZARDOUS MATERIALS: Certified safe for asbestos, silica, lead paint, and hexavalent chromium pickup and containment. COMPLETE CONTAINMENT: Will never blow dust or pickup back into the air. WET AND DRY VACUUMING: Safely go back and forth from wet to dry pickup, including water, without switching filters.